Looking for the highest rated paint ball courses in Minnesota, then you should head to Action Packed Paintball Games soon. This is one of the best spots for enthusiasts, because the site features a number of extensive paintball courses. Working with the professional staff here can be one of the best ways to set up a tournament or general competition. Even new players will have the chance to get started, especially if they would like to compete as walk-on players. There are a number of advantages to trying Action Packed out, which is located just 45 minutes south of the Minneapolis metro area. The center itself has great amenities for anyone who would like to play or watch. It has paved parking and onsite restrooms. 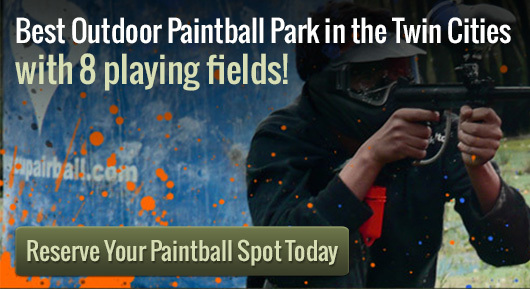 The staff can help show you around to the different paint ball courses featured on site. There is a wooded area, which can help simulate a jungle themed paintball event. The site also features a mock town, which can help create an urban combat scenario during the event. Many people will be interested in trying this scenario out, since it can provide the perfect setting for an expansive tournament. There are a number of other advantages for choosing Action Packed Paintball Games as your top choice for paint ball courses. The staff here will be friendly and helpful for all of your needs. You may be interested in working with them, since they can help provide refills for paint balls or restore CO2 canisters. This can help keep paintball tournaments running smoothly for all of the different participants. There are even onsite concessions that may be appealing to many people that are out there. Check out this center in Scott County if you want the best paintball you can find anywhere.